Mark has been shooting in 360° space for several years. 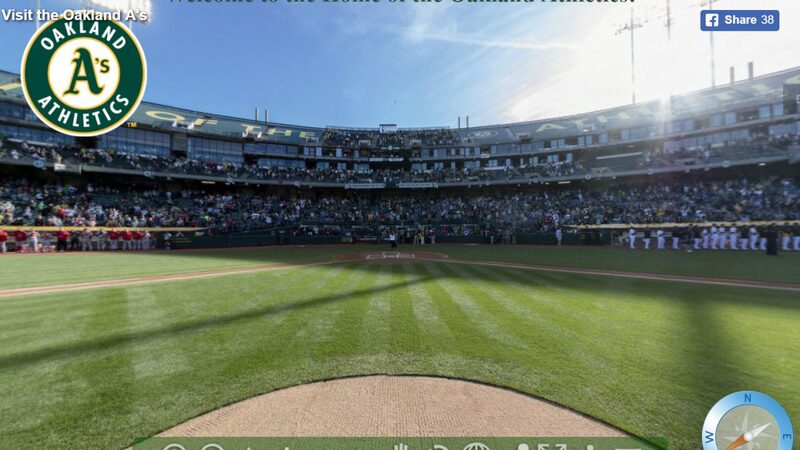 He has shot from 50 yard line during the coin flip of the sold out Tennessee vs. Arkansas football game in front of 104,000 fans, from the pitcher’s mound during the National Anthem during an Oakland A’s game, and throughout homes, businesses and other locations. His images have appeared in countless tours and displays. These tools can sure be fun as a novelty, but they serve a tremendous practical purpose particularly when combined with quality sound, allowing distant friends and family to attend weddings, parties, shows and other events as if they were sitting right in the audience. Real estate agents can show properties to prospects without expending time and cost, increasing the quality of the client prospect, and conversely, clients can save tremendous time by narrowing down their choices with limited effort. Restaurants can show banquet halls, golfers can experience courses and businesses can assist visitors with parking and much more, all right in the first person. The investment can produce tremendous returns both in time and expense. Let us help; whether in streaming your event or creating your virtual tour. Here are some simple examples of what can be accomplished. 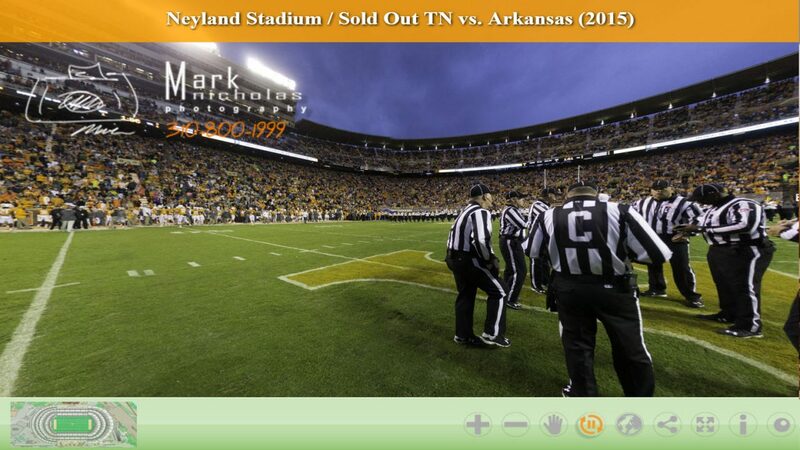 Neyland Stadium is one of those iconic structures with an incredible history. It was first completed in 1921. It was named after General Robert Neyland in 1962. It held its first night game in 1972. The stadium was considered by the Sporting News as the nation’s #1 college football stadium in 2001, but that was before the $136 million series of renovations. The structure is a work of art, beautiful outside and in. I had the privilege standing at mid-field during the coin toss to shoot my 360 degree tour. Like many others, I shoot fast and was done in a matter of seconds, with enough time to shoot the coin toss and marvel at the magic of the place and the feeling of honor that I had to be standing at that spot at that very moment. The Oakland Coliseum was first filled on September 18, 1966 when the Oakland Raiders played the Kansas City Chief. The venue has hosted many of the most iconic events, including bands such as the Rolling Stones, Led Zepplin and the Grateful Dead. I had the chance to step onto the mound during the National Anthem with the amazing Michael Zegaris not far behind so that I could take this photo. It is a composite of 8 50 megapixel images. You can look down and see the grains of sand, and straight up to the heavens. This was among the most amazing experiences of my life. It is thanks to the brilliant Peter Read Miller who helped pose the question and the Oakland A’s organization for allowing me the wonderful privilege. The Wayfarers Chapel is one of the most majestic settings for weddings and spirituality is nestled in a grove of redwood treas in the quiet of Palos Verdes. Inspired by Lloyd Wright sits the Wayfarers Chapel and gardens overlooking the breathtaking view of the Pacific Ocean and Catalina Island. My time at the chapel was very short, but I was able to capture a collection of images and a few panoramas that should certainly inspire a visit. This project was shot in a short period of time. However, due to the intricacies of the chapel I am continuing to work on this project and the panoramas. As such, this is still in draft. Over the next couple of weeks the final details and look of this project should really come alive. Stop back if you have time. There is perhaps no more important tool for photography and virtual tours as there is in real estate (although restaurants, rooms for rent and banquet halls come in a very close second). The real estate tour helps the agent be more efficient by helping to ensure that clients know many of the details of a property (e.g., label granite counter tops, storage square feet and key descriptions), and maps and floor-plans can include everything from special features to local amenities (such as by pointing out the local school, theater and supermarket). Customization tools are near endless and I wouldn’t know where to begin when it comes to these tours. 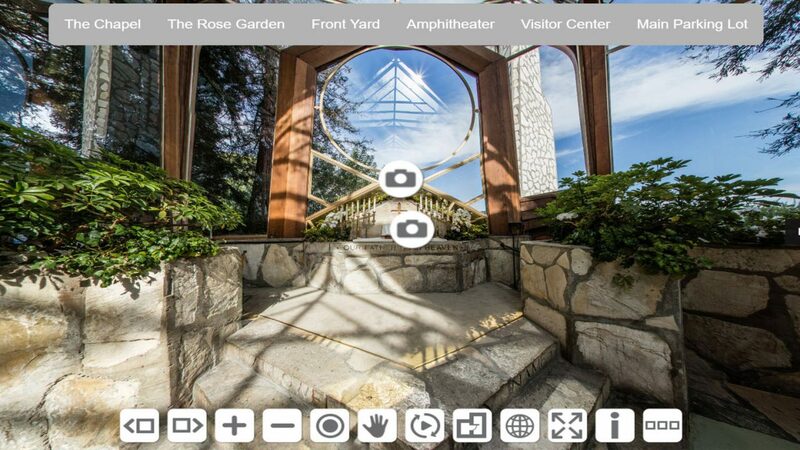 Standard tools can easily incorporate everything described above from tours, live footage, video, audio, pdfs and more. That, however, is just the beginning. Think small and easy, or big and stunning. I will be adding many of these features to this demo tour over the next few weeks. 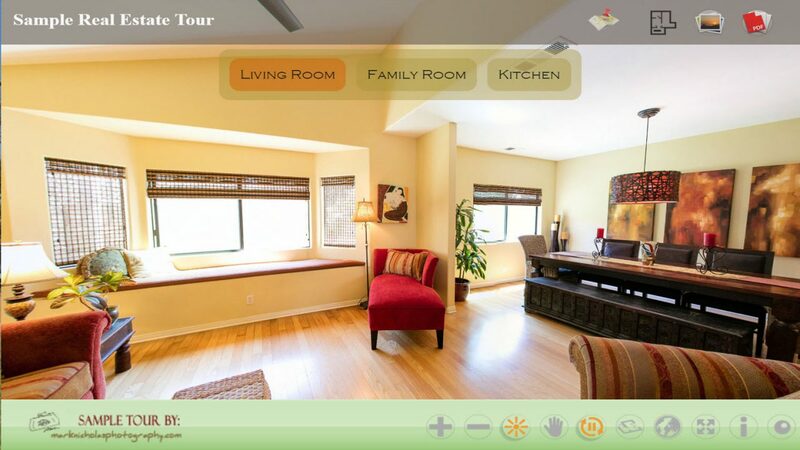 When various tours are linked and photography is integrated, homes can really come alive. Please let me know if I can help put these together for you. 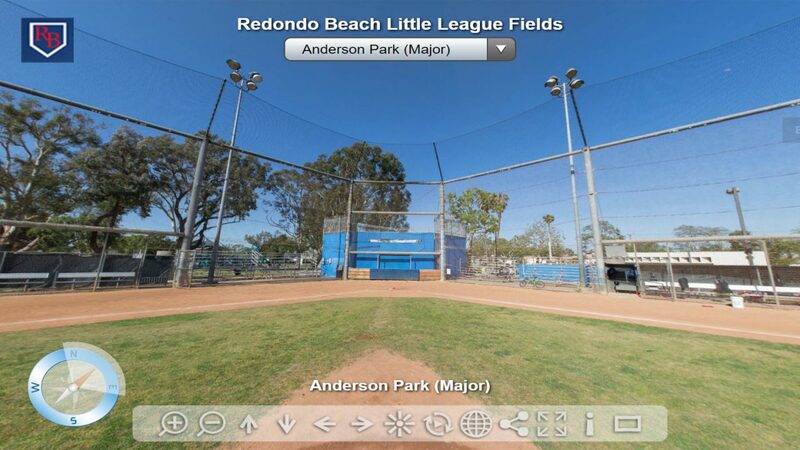 This tour was prepared to assist families and players in helping them prepare for the various fields used by the Redondo Beach Little League. Tours include aerial panoramas, and on-field tours to help players avoid surprises. The potential for this tour is still at its inception. We may decide to tag everything from parking to each item of interest in and around the fields. Keep tuned and see where we go from here!